AMAZING OFFER! RRP: £73.35 (+VAT). OVER 45% OFF! 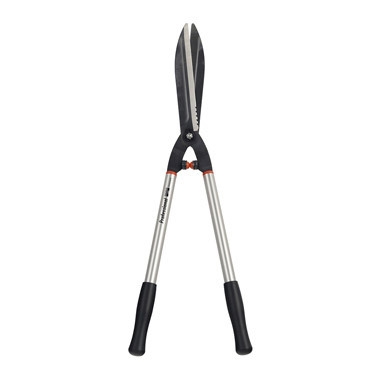 Bahco long handled hedge shears - professional quality trimmers, ideal for use in parks, topiary gardens and nurseries! Extra long-reach, lightweight aluminium handles for cutting even the most hard to reach areas of bushes and hedges. Hardened steel blades with a partly serrated edge - ideal for cutting thick branches. Comfortable handles and rubber buffers help to reduce fatigue and maximise user comfort.